Between celebration of nature and spirituality, "Natura Mystica" is a musical odyssey to our own mystical nature, those where gush forth love, light and harmony. 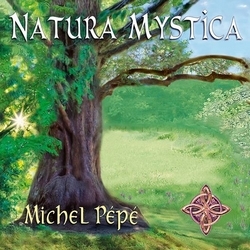 Michel Pépé offers us a majestic and unique album, where the richness of orchestrations and the beauty of the melodies connecting us to the colors of the Earth and the Sacred. We are pleased to make you discover it on Radio PLENITUDE, every day, from October 11 until October 25, before it enters in a regular programming.